Once sustained clinical remission is achieved under tratment with biological therapies, the most efficient strategy is optimization. Searching for the lowest effective dose for each patient could minimize the risk of adverse effects related to biologics and improve the cost-effectiveness of RA treatment. Our objectives are 1) to proof that an optimization strategy in patients with RA and sustained clinical remission under biological treatment maintains the proportion of patients with DAS28²2,6 after 4 years, 2) to assess the maintenance of the effectivenes of the optimization at 4 years and 3) to analyze the time until relapse. Open observational prospective study that included 70 patients with RA (CREATE registry) in clinical remission at least for 6 months, under treatment with tapered dose of biological therapy (TNF-_ inhibitors, abatacept and tocilizumab). Treatment effectiveness was assessed with the main variable DAS28²2,6. Statistical analysis included a descriptive study of variables and a confidence interval of 95% (95% CI) was estimated. For bivariate analysis, we used Student t-test for independent samples, repeated measures analysis of variance and mixed analysis of variance, and as a post-hoc contrast, Sidak adjustment. The log-rank test was used to compare the time until relapse according to the biological therapy. The mean age of the patients was 56,9 (13,7) years, 78,6% were women, 68,8% were RF positive and 66,7% ACPA positive; the mean DAS28 at the beginning of the optimization was 2,24 (0,73). After 4 years, 27,7% (95%CI:16,82%-38,58%) of patients maintained clinical remission with the optimized dose, with a DAS28 2,15 (0,81). Through the first year, the percentage of relapses was 15,71%, in the second year, 7,35% and 4,61% relapsed during the third year. The median time of optimization strategy until relapse was 13,83 (3,18) months (95%CI:7,6-20,06). No significative differences were found at comparing the survival curves of the optimized patients until relapse for 4 years according to the biological therapy (TNF-_ inhibitors vs. no TNF-_ inhibitors) (log-rank test:0,865, p:0,352). At the end of the study, most of the patients maintained DAS28 levels of low disease activity and half of them reached clinical remission, including those who had suffered a relapse and had turned back to the previous dose of biologic treatment. In view of this outcomes, optimization strategy in real clinical practice is posible and effective in patients with persistently controlled RA, in order to keep the therapeutic goal. Disclosure: M. L. Ladehesa-Pineda, None; M. C. Castro-Villegas, None; M. Romero Gómez, None; C. López-Medina, None; L. Pérez Sánchez, None; I. Gómez-García, None; P. Carreto Font, None; A. Escudero-Contreras, None; E. Collantes-Estévez, None; P. Font-Ugalde, None. Ladehesa-Pineda ML, Castro-Villegas MC, Romero Gómez M, López-Medina C, Pérez Sánchez L, Gómez-García I, Carreto Font P, Escudero-Contreras A, Collantes-Estévez E, Font-Ugalde P. 4 Years Follow-up of a Cohort of Patients with Rheumatoid Arthritis in Sustained Clinical Remission with Optimization of Biological Therapy [abstract]. Arthritis Rheumatol. 2018; 70 (suppl 10). 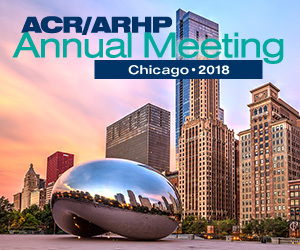 https://acrabstracts.org/abstract/4-years-follow-up-of-a-cohort-of-patients-with-rheumatoid-arthritis-in-sustained-clinical-remission-with-optimization-of-biological-therapy/. Accessed April 19, 2019.